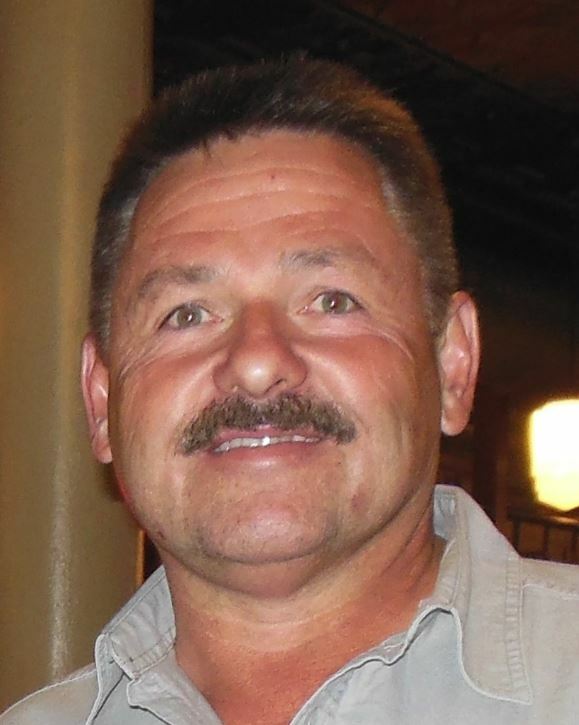 Randall K. Smith 59, died Wednesday, April 11, 2018 at his Rural Newton Home. He was born February 28, 1959 in Newton, Kansas to Ellis and Fern (Johnson) Smith. He was a United Parcel Service Driver for 30 years; his route included the Furley, Whitewater, and Goessel areas. Through his work at UPS, Randall enjoyed the relationships and friendships he made during the years with his fellow drivers and customers. Randall enjoyed spending time outdoors in nature, bowhunting and was a member of the Kansas Bowhunters Association. He was a skilled craftsman and made many of his own bow’s that he used. He also did other wood working and metal projects including making metal yard art. Finding old arrowheads around the area was a fun past time he enjoyed along with using his metal detector to find new treasure. Randall had a soft spot for animals and cared for the many animals that made their way to his home through the years including, dogs, cats, chickens, cattle, and many more. Randall also had a vast thirst for knowledge and loved researching local and family history. Family was very important to Randall and he was a kind and generous person who enjoyed helping out people and spending time with his loving family and many friends. He is survived by his daughter Allison and her husband Mark Sedore of Topeka, Kansas; brother Norman A. Smith and his wife Andrea of Potwin, Kansas; sisters Gloria Haire of Middleburg, Pennsylvania and Beverly Smith of North Newton, Kansas. He is also survived by his girlfriend Sandy Barnett of Newton and Allison’s mother Patrina Percy of Iola, Kansas and several nieces and nephews and many friends. A gathering and visitation will be 5 p.m. to 9 p.m. Monday April 16, 2018 at Petersen Funeral Home. The family will receive friends from 6:30 p.m. to 7:00 p.m. followed by a time of sharing stories and memories of Randall staring at 7:00 p.m. The family ask that his friends that wish to speak be prepared to share a favorite story or memory during this time. Private family inurnment will be in the Pleasant View cemetery in rural Elbing, Kansas. Memorials are suggested to the Kansas Wildlife and Parks in care of Petersen Funeral Home. May God wrap his arms around you all during this sad time !!! He was our favorite UPS driver! We remember him every time we drive by all the many beautiful trees he planted, coming into our town. My sincere condolences to Randy’s family and my sister, Sandy Barnett. I pray for comfort, love & strength for all at this sad time. It just breaks my heart that he is gone. There will always be great memories of him because of the fine man that he was, and I thank him for loving my sister. To Randy’s family and my sister Sandra. Losing Randy was a heartbreaking loss because I know that he was a kind, loving, generous man who was loved by all who had the pleasure of knowing him. Randy was one awesome man. Randy was one of the good guys on this earth. Enjoy all of gods beautiful creation, heaven will be so much more than we can even imagine, to randy’s family one day you will have a great reunion with Randy and all be together in paradise. Enjoy your reward randy . We loved this man. He was a dear friend to us. we will miss him. Randy delivered packages to me for all of the 30 years he worked for UPS he will be deeply missed. Our sincere sympathy for the family. Loved his deliveries and his visits while at Ravenscraft’s. A great friend. He will be surely missed. Prayers and thoughts go out to the family. Rest In Peace Randy. My condolences to all the family. He was a good man. Our sincere condolences for the loss of Randy. He was such a nice man that always greeted with a wonderful smile. He will be missed! My sincerest condolences to Randy’s family and friends. He will be missed.